It’s time to play the music, it’s time to light the lights—and fans of The Muppet Show can probably guess the rest. Beginning June 1, Bert and Ernie, Bunsen and Beaker, and their various woolly pals take over the Skirball Cultural Center for The Jim Henson Exhibition: Imagination Unlimited. Imagination Unlimited is the fruit of a four-year conservation project by New York’s Museum of the Moving Image, which houses a permanent collection of Henson’s works. For the exhibition, historic Muppets were restored—about two dozen from Sesame Street, The Muppet Show, The Dark Crystal, and Fraggle Rock are on display—and David Bowie’s Goblin King costume from Labyrinth was patched up. There are also sketches, storyboards, and upwards of 100 other artifacts taken largely from Henson’s personal archives scattered about the space (his namesake company sits on La Brea at the former Charlie Chaplin lot). But there’s more to the show than nostalgia. It sheds light on Henson’s pre-Sesame Street endeavors, too: Catch a clip from his 1965 Oscar-nominated short film, Time Piece, as well as handwritten scripts from Sam and Friends, the puppet show he and his future wife, Jane, premiered on local TV in Washington, D.C., in 1955. 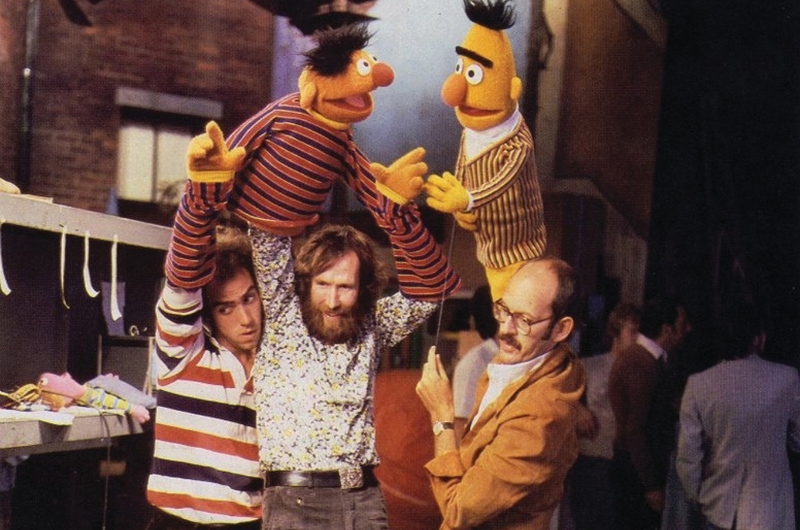 In their early days, the Muppets stood out on the small screen for their wackiness. But it’s their Henson-imbued humanity that has kept them relevant for generations. The puppets are “all about seeking out perspectives that cultivate compassion and inspire empathy,” says Skirball curator Bethany Montagano.